Melton RFC Under 9s travelled in force to Leicester Lions RFC on Sunday to face the hosts and Shepshed in a triangular fixture. The sunshine brought the best out of the team and they started the morning with a stunning performance against Leicester. Some outstanding rugby was played with Daynes making some wonderful runs, and Beech, who has been quiet on the wing lately, running in multiple tries. Later games saw maiden tries from Wright and Salmon and, as always, great carries from Jopling and wonderful passing from Marriott. 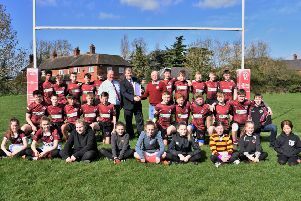 The squad will be in action again on Sunday on home turf as Melton RFC are hosting the prestigious County Cup finals at Burton Road.